April is here and you know what that means!?! That means savings for you! Are you ready to Paint it Cosmopolitan with Velvet Finishes April Colour of the Month? April….ahhhh…. spring. 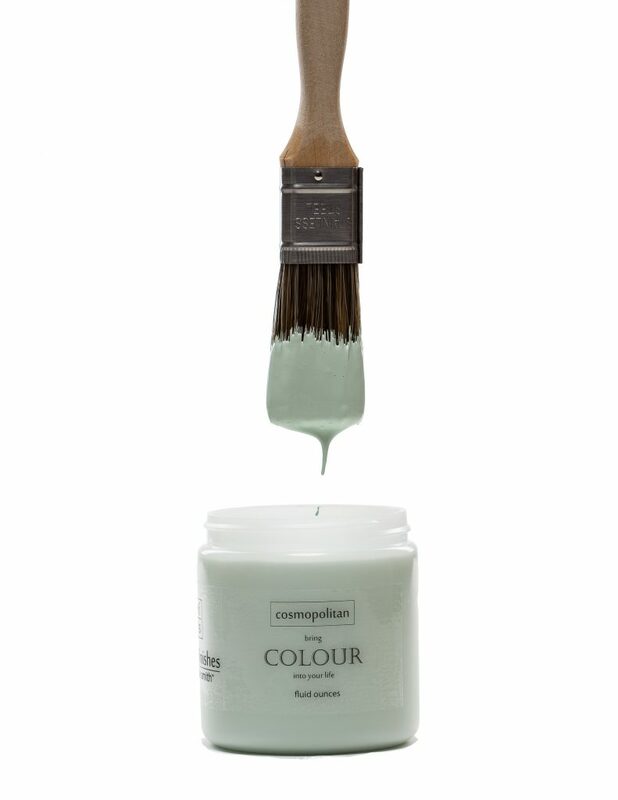 We thought a great mint shade would set the tone for a fresh and calm month. Although calm isn’t really our style here at the asylum. ? Our April Velvet Finishes Colour of the Month is Cosmopolitan. The lightest of the greens, a beautiful and fresh shade of mint. 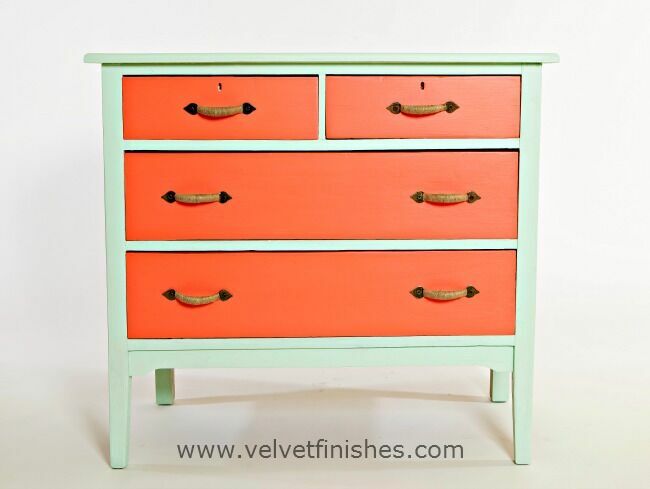 This is a fun piece that we painted with Velvet Finishes Cosmopolitan and Exotic! 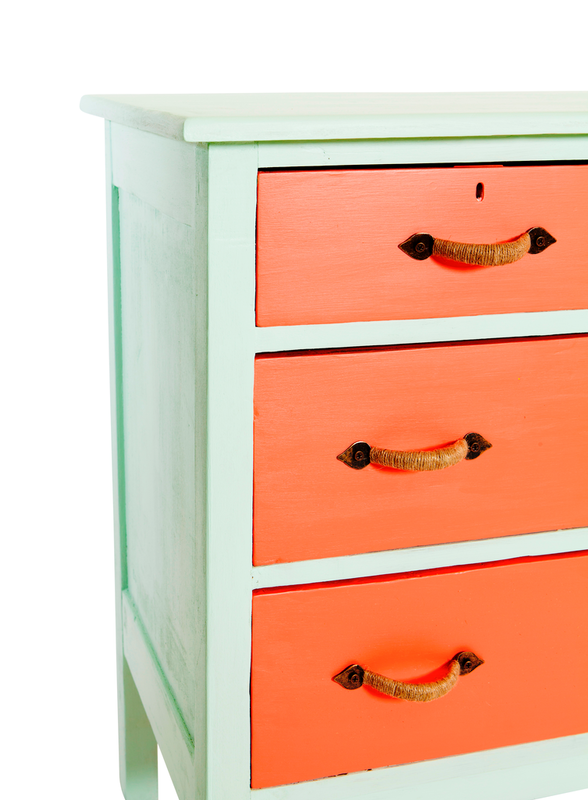 Are you digging these colors together? I personally love them! 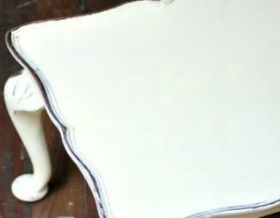 Take a look at this sweet rocking chair that Wife In Progress Blog painted with Velvet Finishes Cosmopolitan. 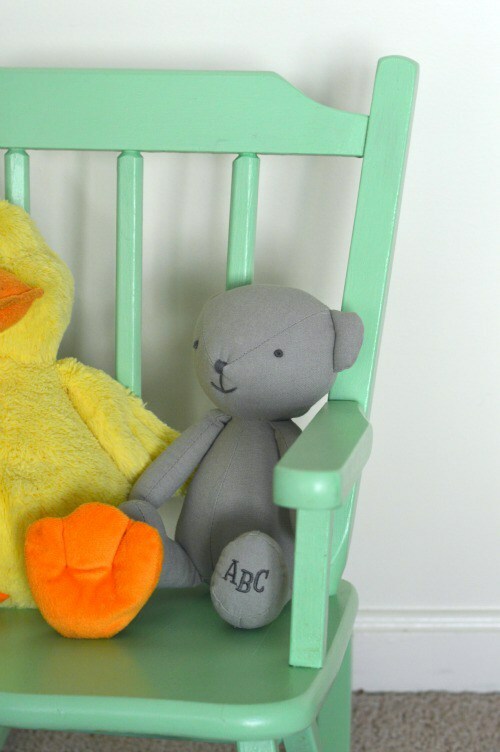 I mean seriously, how cute is this mint green little chair? 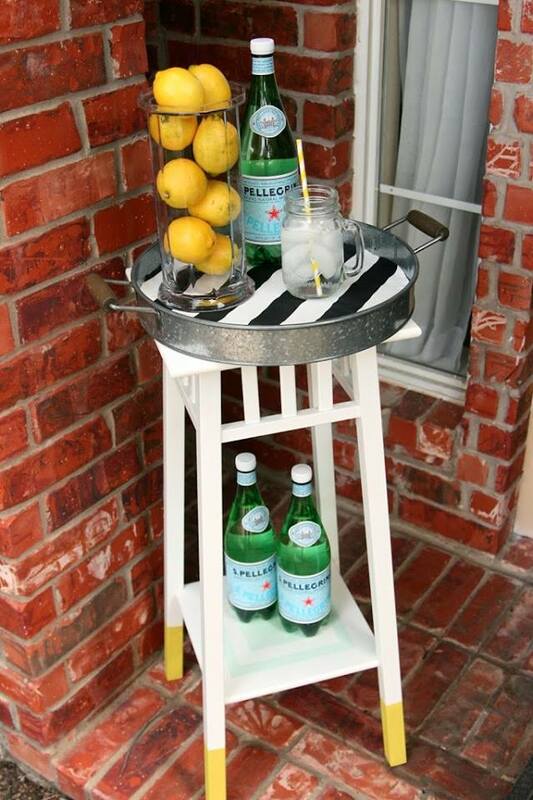 Isn’t this thrifted metal tray and table darling? Our gal pal Bee from Windgate Lane used our mint green Velvet Finishes shade, Cosmopolitan to add a pop of detail at the bottom. 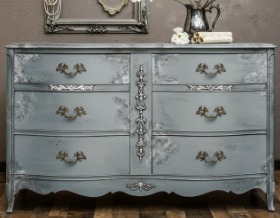 The Wild Dandelion, our Wisconsin Velvet Finishes retailer, has done it again with another beautiful furniture makeover! 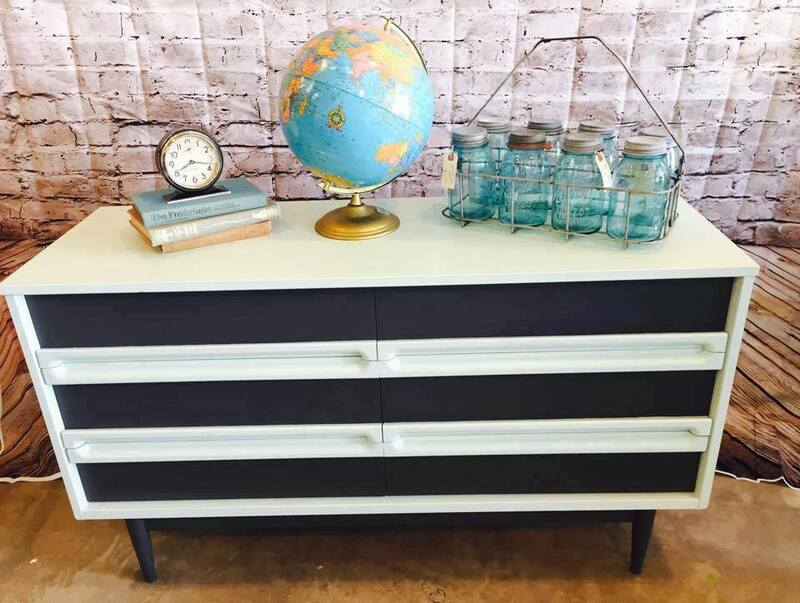 This mid-century modern dresser was painted with our mint shade, COSMOPOLITAN and our dark gray shade, TIMELESS. Don’t these colours look beautiful together? 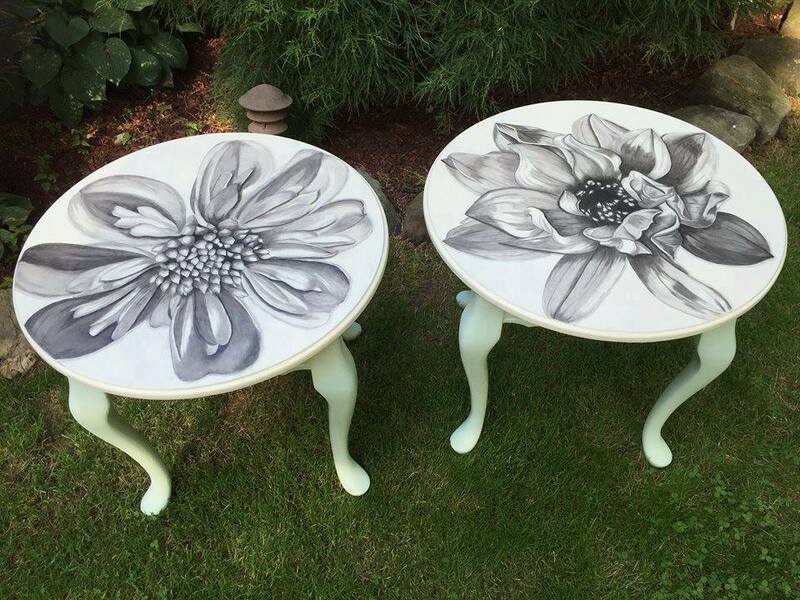 Show some love for these amazing tables from M&M Embellishments! Michelle used Velvet Finishes Rococo and Cosmopolitan on these beauties. Amazing right?! 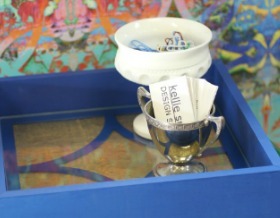 I wanted to share this close-up shot of our Velvet Finishes Cosmopolitan and Exotic dresser. She is a beauty huh? 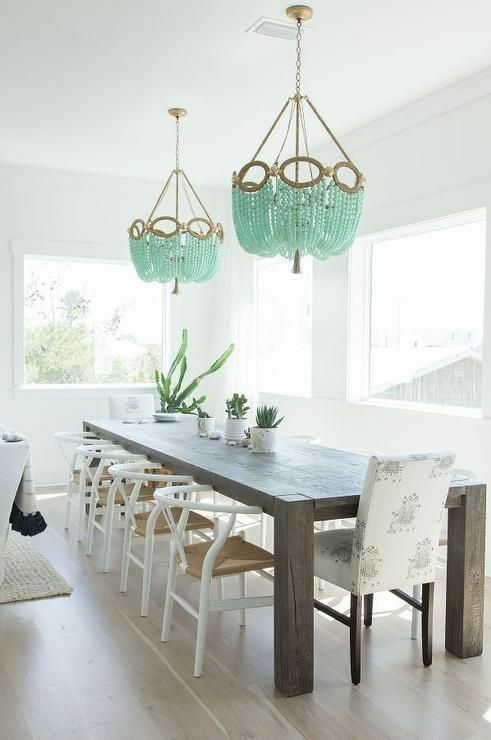 These mint green beaded chandeliers are the perfect surprise of color in this otherwise neutral dining area. 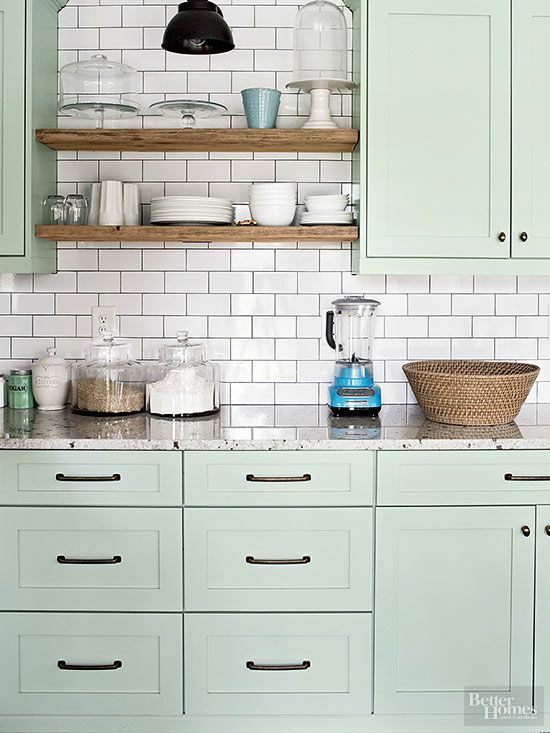 Mint Green is making a comeback in kitchens. This kitchen’s light and airy feel is gorgeous. I love the rustic shelving mixed with subway and the beautiful green. 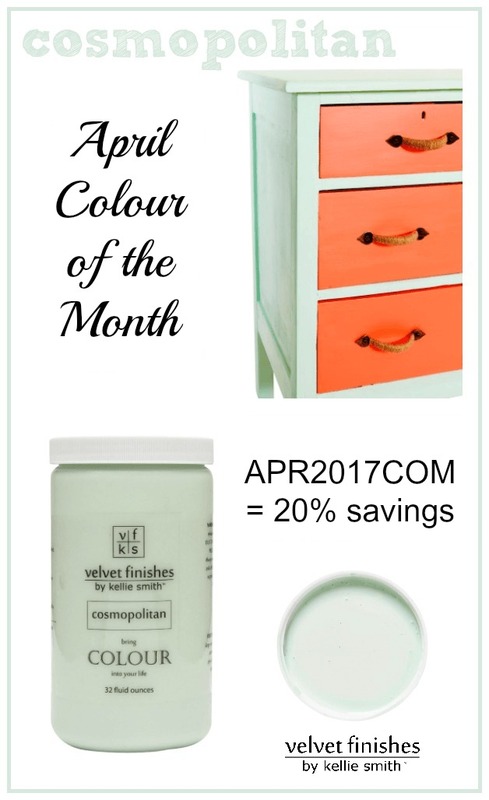 Remember the post I did covering 21 Colourful Kitchens that will Have you Repainting your Kitchen Cabinets with Velvet Finishes this weekend? Yep, this beauty was definitely in there! 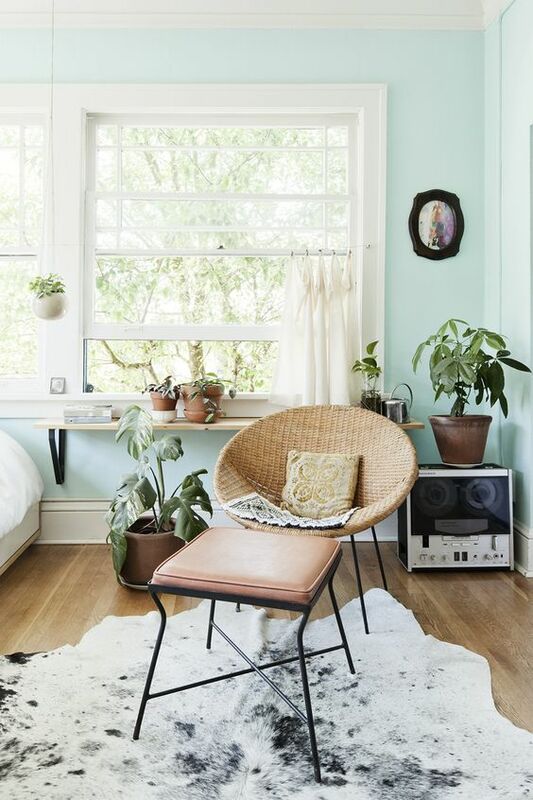 See more color inspirations in that post. 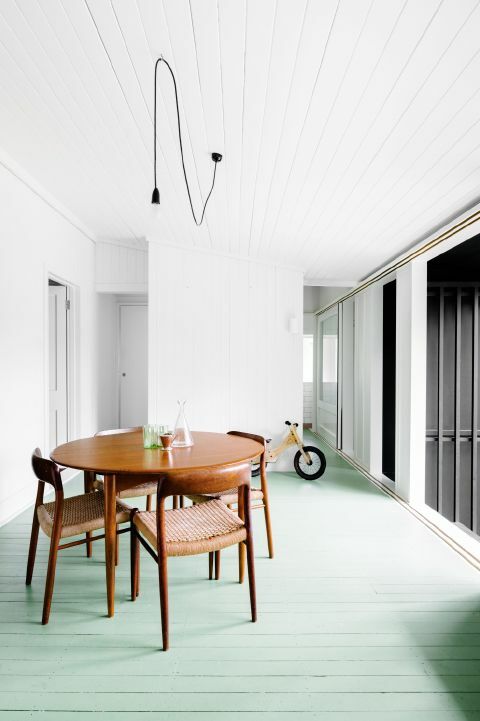 That wall colour though…so minty fresh! Let’s take the mint to the floor. This mod space is quite charming. 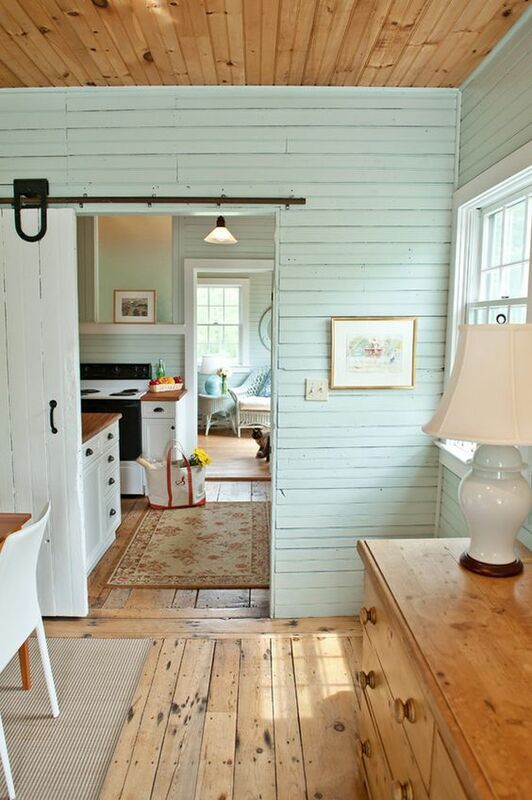 Mint shiplap! Not a fan of the shiplap phenomenon? Take a look at this post, here. How about some minty goodness all over the place? I didn’t mean to save the “best” for last but this vanity is AH MAY ZING! 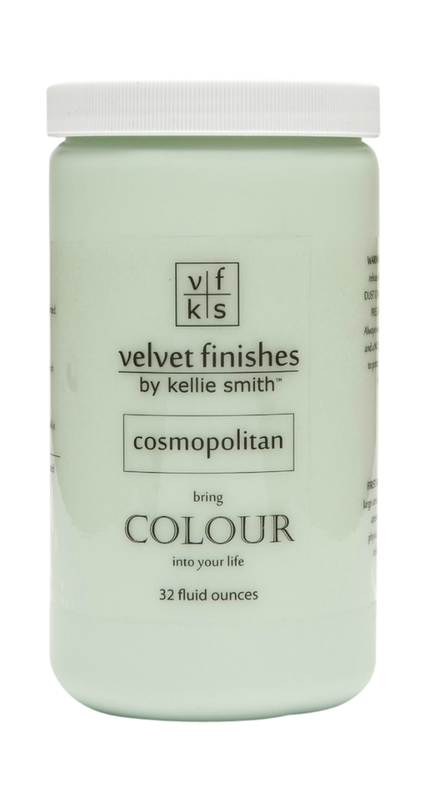 Are you ready to paint your vanity with Velvet Finishes Cosmopolitan? I hope that you received some Cosmopolitan painting and décor inspiration and enjoy your 20% savings!